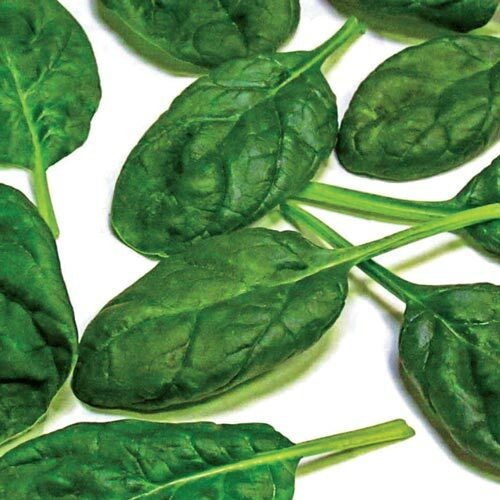 Olympia Hybrid Spinach | Gurney's Seed & Nursery Co.
FoliageThick and dark green leaves that grow upright. FruitDeep dark green, smooth leaves. PruningIdeal as either a baby leaf (cut just 3 weeks from sowing seed), or as mature spinach at 45-50 days from seed to harvest. CommentsHolds quality better during processing. Semi-erect, heavy leaf. Very slow bolting. Also known as Northland spinach. Durable variety for warm season areas. Disease resistant to downy mildew, fusarium wilt races 1, 2 and 3.